Estimate of City’s annual savings after NY Health Care Act implementation. Margot and I just left an eye-opening meeting at the Crandall Public Library. The topic was single-payer health care and it supplied an overview of U.S. H.R. 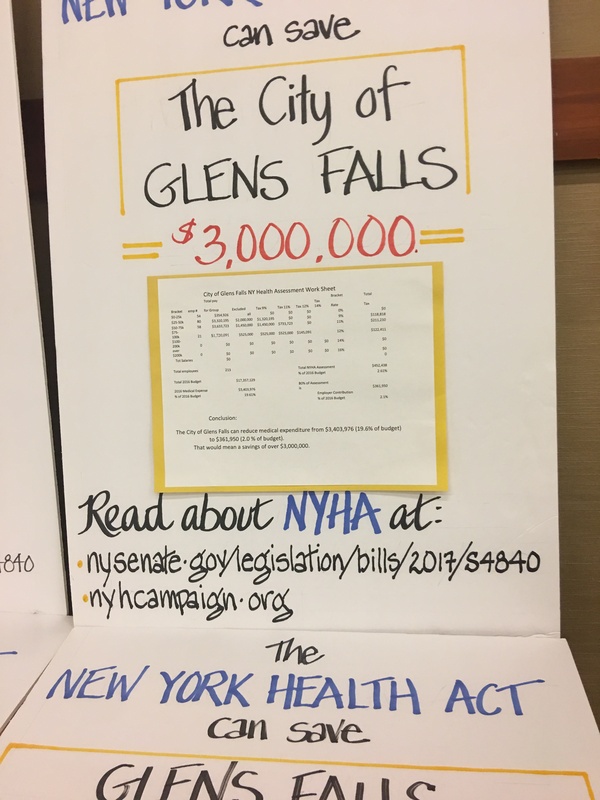 676 and the New York Health Act. We arrived, hoping to learn if either bill could save our City on its operating expenses. There was a full house and 100% were taxpayers. We got our answer, and there will be more to say. For deeper background from a 2015 presentation, visit this link and stay tuned.